Rod Tritone is all set to take over the Mer kingdom when his father retires, until the ruling council tells him he has to marry first. The council gives him legs for the duration of his mission, as well as his future queen’s address and phone number. She’s Valerie Dumere, the daughter of a Mer father and a human mother who raised her in landlocked Kansas. When devastatingly handsome Rod Tritone shows up and tries to tell her about the kingdom under the sea, not only does she think he’s crazy, she’s determined that’s the last place she’d ever want to go. 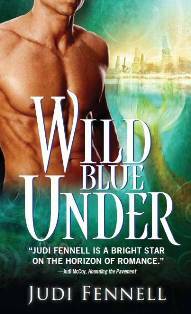 The following is an excerpt from Wild Blue Under by Judi Fennell. Meet Maybelle and Adele, two busybody sparrows who give Neighborhood Watch a whole new meaning and who play an important role in the story without ever even meeting Rod and Valerie. “Should we tell him, Maybelle?” The two sparrows shared their breakfast, huddled beneath Adele’s weathervane in hopes of both avoiding the nasty weather that was rolling in with the clouds and finding out why that herring gull was back, this time tapping the outside of Valerie’s window. Judi Fennell has had her nose in a book and her head in some celestial realm all her life, including those early years when her mom would exhort her to “get outside!” instead of watching Bewitched or I Dream of Jeannie on television. So she did–right into Dad’s hammock with her Nancy Drew books. These days she’s more likely to have her nose in her laptop and her head (and the rest of her body) at her favorite bookstore, but she’s still reading, whether it be her latest manuscript or friends’ books. A three-time finalist in online contests, Judi has enjoyed the reader feedback she’s received and would love to hear what you think about her Mer series. 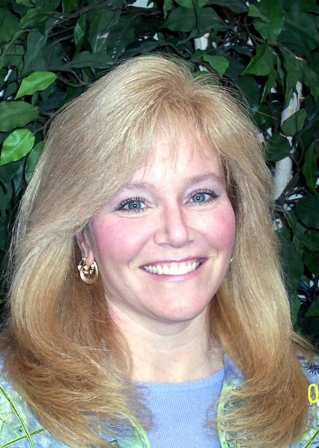 Check out her website at www.JudiFennell.com for excerpts, reviews and fun pictures from reader and writer conferences, and the chance to “dive in” to her stories.